Breast cancer (BC) epidemic is recognised as being characteristic for the early twenty-first century. BC is a multifactorial disease, and a spectrum of modifiable (preventable) factors significantly increasing risks has been described. This article highlights a series of underestimated symptoms for consequent BC risk assessment and patient stratification. Phenomena of the deficient thermoregulation, altered sensitivity to different stimuli (pain, thirst, smell, light, stress provocation), dehydration, altered circadian and sleep patterns, tendency towards headache, migraine attacks and dizziness, as well as local and systemic hypoxic effects are discussed for BC patients providing functional links and proposing new approaches in the overall BC management. Breast cancer (BC) prevalence in all populations worldwide has reached an epidemic scale in the early twenty-first century . Therefore, it is the highest time now to revise the persisting traditional approaches in BC management as well as to broaden our vision in many aspects regarding the BC aetiology and multifactorial risks creating new concepts for effective screening programmes, innovative predictive, preventive and prognostic approaches. To diverge from the traditional approach, here, we will not follow the attributes of currently persisting ‘stream’ considering BC patients as the ‘carriers’ of the genetic mutations (potentially) linked to the pathology. The reason for that is that the familial BC comprises less than 10% of the overall BC patient cohort. In contrast, our interest is dedicated to the absolute majority (over 90%) of the patients with so-called sporadic BC, who do manifest the pathology due to rather non-genetic, modifiable risk factors. That means the risks which are well preventable, if individually recognised well in time. Some modifiable factors are well known as linked to the increased BC risks. These is an entire spectrum of endogenous and exogenous stress factors such as toxic environment, smoking, inappropriate alcohol consumption and wrong lifestyle including low physical activity, but also, the late first full-term pregnancy without/too short breastfeeding, obesity, imbalanced diet and relevant pathological processes such as chronic inflammation . This information is available since couple of years and even decades for educational and preventive measures applied to the general population. However, those measures seem to be less effective according to the actually recorded dramatically increasing BC prevalence. On the other side, there is stets accumulating number of case reports in the BC-related fields which unfortunately receive too little attention by the broad scientific community being considered as ‘atypical’ cases and/or even anecdotes which are good enough for twittering and patient communication-oriented websites discussing what and how individual BC patients do feel before the diagnosis, during and after the treatment. However, the question is, whether the mission of broadly advertised ‘personalised medicine’ and related branches (see the classification here—) is not about to treat each patient as an ‘individual’ i.e. ‘atypical’ case? 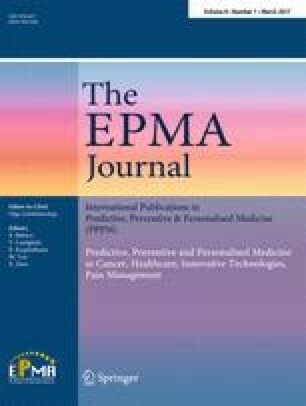 Utilising this way of thinking, let us highlight a series of underestimated symptoms known as published case reports and ‘atypical’ cases which, however, seem actually to having reached the ‘critical mass’, in order to be essentially considered to advance BC risk assessment, patient stratification and overall management. In contrast to the well-recognised risk factors, such as tobacco smoke (both active and passive), uncertainty regarding a potential relevance for breast cancer begins perhaps with the headache appearance and its individual interpretation. Migraine: no relevance versus higher or lower risk for BC? These questions are relatively new but strongly disputed in the literature. Considering the matter logically, it is difficult to deny the functional link between two pathologies, due to their hormonal and vascular components—both obligatory involved in BC and migraine attacks. Hence, oestrogen is one of the key molecules and regulators involved in the aetiology of both migraine and BC. However, the epidemiologic findings are controversial: on one side migraineurs, in general, demonstrate a reduced risk for BC [3, 4, 5]. On the other side, an increased risk to develop particularly aggressive subtype of the triple-negative BC has been recorded amongst migraineurs without aura . Those findings lead to the conclusion that better patient stratification is essential in BC in order to find clear interrelations between individual symptoms and individual BC subtypes. In contrast, early and light symptoms are frequently underestimated by conventional diagnostic procedures. As soon as severe symptoms appear, it is frequently too late specifically in case of BC diagnose. Just an example by the corresponding case report: a young (37 years old) woman complained about persistent headache, dizziness and blurring of vision in episodes occurring up to five times daily. Whole-body cross-sectional CT, PET, breast-MRI and mammography applied, accompanied by investigation of blood CA-125 and axillary lymph node biopsy, revealed poorly differentiated breast malignancy as the primary site followed by metastatic leptomeningeal disease. The treatment intent was palliative . The major concern in this case is that the patient had experienced lighter headaches and migraines for a long time but, obviously, too little attention has been paid to this symptom by primary caregivers. First, towards the appearance of severe headache and disturbances of the visual field, the patient has been diagnosed and treated, when, unfortunately, only palliative approach was possible to perform. Further, the paraneoplastic cerebellar syndrome is known for breast cancer patients diagnosed usually in the inverse sequence against the original appearance of the pathological events, namely, first, the paraneoplastic cerebellar syndrome is diagnosed that finally emerged as the brain metastasis originated from the breast cancer, which however is diagnosed secondly after the discovery of the metastasis . Although, those cases are published generally by case reports, just some weeks ago, we have released a review article titled ‘Mystery of the brain metastatic disease in breast cancer patients: Improved patient stratification, disease prediction and targeted prevention on the horizon?’ . The article analyses important aspects of the interrelation between particularly aggressive BC subtypes and brain metastasis: on one side, primary brain tumour is a rare disorder responsible for high mortality and morbidity: relatively low prevalence in general population is ranging between 12.0 and 15.5 per 100,000 person-year for different countries and regions worldwide [10, 11, 12, 13]. On the other side, the brain is one of the predominant sites of the metastatic spread recorded for more than 20% of breast cancer patients in several individual subgroups [14, 15]. Although highly clinically relevant, this mystery has not been yet adequately explained. Contextually, the paper concludes that innovative multi-level diagnostic approaches are needed to predict BC patients at high risk for the potential development of brain metastasis . Similar to the above-noted facts, the observations for BC patients are usually made first when BC is clinically manifested that means during BC treatment and in the survivors when plenty of additional factors (such as diagnosis-related psychological stress, post-surgical syndromes, irradiation and drug application) strongly contribute or even modify the overall sensitivity of the treated patient towards different stimuli. Consequently, the retrospective analysis in the post-diagnosis period is not simple for reconstructing original individual phenotypes and symptoms of the disease predisposition and/or progression before the diagnosis. However, here, we intend to summarise the accumulated information about the reaction of BC patients towards individual stimuli before (if available) and after the BC diagnosis. The absolute majority of the papers dedicated to the pain sensitivity in BC are focused on BC patients under treatment and in survivors. However, some recent studies demonstrated a strong correlation between preoperative and postoperative pain sensitivity specifically in breast cancer patient cohorts. Moreover, the younger ages have been identified as a risk factor for stronger pain sensitivity in this patient cohort . Further studies have made a clear functional link between the increased endothelin-1 (ET-1) levels on one side and spontaneous pain and temperature perception on the other side. The ET-1 dose-dependent effects have been observed even in healthy male volunteers who underwent the ET-1 injection . ET-1 is a growth factor and systemic vasoconstrictor overexpressed in breast carcinomas with particularly poor prognosis as discussed in the below subchapter ‘Endothelin-1 patterns in BC’. Actually, a very few papers are dedicated to the thirst feeling in breast cancer, and all of them are focused on the issue during BC treatment and BC patients specifically with diabetic history. On the other side, it is well known that reduced water intake leading to mild or severe body dehydration is a strong risk factor for several pathologies including breast malignancies  and headache/migraine attacks . However, if any, highly restricted information is available regarding potential mechanisms of the dehydration in breast cancer predisposition and pathology. Is the thirst feeling normal or dysregulated in BC-predisposed and -diseased individuals? Dissatisfaction with the taste of water and imbalanced consumption of natural diuretics (e.g. caffeine and alcohol) amongst others might be also the reasons for the reduced water intake. May be one of these possible reasons more specific for BC pathology than others? These questions remain currently non-responded in the scientific literature and medical practice. It is well known that cancer patients smell differently compared to the general population. Based on that, canine olfactory detection of human malignancy is a phenomenon well documented in the scientific literature . Specifically, a detection and identification of breast cancer volatile organic compound biomarkers utilising highly sensitive chip technologies is described . Our question is, whether the smell perception of BC patients and/or pathology-predisposed individuals may be altered against general population that can make them more or less sensitive towards the smell. This question remains currently non-responded in the scientific literature. Sunshine/UV-light plays an essential role in BC prevention. Contextually, protecting effects by vitamin D supplements have been initially demonstrated . However, recent studies suggested further mechanisms of the regular sunshine exposure strongly contributing to the BC protection, namely immunomodulation, the formation of nitric oxide, melatonin and serotonin, and the effect of (sun)light on circadian clocks . Abundant epidemiological studies performed on shift work indicated circadian gene variants as candidates involved in breast cancer development . Moreover, a particular role of the circadian genes is implicated specifically in the pathomechanisms of more aggressive and actively metastasing BC subtypes, such as oestrogen receptor-negative BC [25, 26] that makes the issue of the circadian rhythms and, contextually, sleep patterns particularly important for our better understanding mechanisms underlying BC pathology. To this end, sleep patterns, generally, are still poorly investigated in BC patients and pathology-predisposed individuals; their role is not specified in individual BC sub-types and development of metastatic activity. ET-1 acts as a growth factor overexpressed in several malignancies . Specifically in breast cancer, the overexpression of ET-1 is linked to particularly poor prognosis . Further, ET-1 is a systemic vasoconstrictor essentially involved in vascular regulation (blood patterns). Upregulation of ET-1 levels in blood leads to local and systemic hypoxic effects , and hypoxia, in turn, is a strong contributor to the aggressive metastatic disease [30, 31]. Besides this general recognition, ET-1 blood patterns are poorly understood in individual BC subtypes and, currently, are not utilised for a patient stratification specifically predisposed to the metastatic disease. Current literature provides sufficient evidence to conclude that breast cancer patients are frequently deficient in achieving thermal comfort: they feel excessively hot or cold even in situations, when disease-free attenders are well comfortable with ambient temperature conditions . While ‘feeling too hot’ received both scientific and clinical attention in context of menopausal symptoms (hot flashes) and related treatment approaches, ‘feeling inappropriately cold’ was for a long time completely out of focus in the overall breast cancer management—corresponding information is still limited to the anecdotal data/case reports. If so, why do we attract a special attention to the phenomenon of the deficient thermoregulation in BC? Well-controlled thermoregulation is crucial for the human body: all the biochemical reactions are adapted to a relatively narrow internal temperature range of 36.5–37 °C, which is rigorously kept by the body to allow for the optimal performance of all physiological processes. In general, ‘feeling cold’ is a normal response towards changing external temperatures, in order to win back the thermal equilibrium/comfort by the well-concerted regulation mechanisms. These mechanisms trigger immediate vasoconstriction and increase the actual blood pressure and heart rates that altogether result in both the heat production and conservation for maintaining the optimal body temperature . In contrast to this immediate response leading to the normalised thermal comfort within a short time-frame, ‘feeling persistently cold’ may indicate mainly two pathological conditions described below. This condition can be reflected, for example, by persistently cold extremities. Maintaining thermal comfort is energetically costly  that requires well-organised energy supply by concerted mitochondrial cooperation at molecular and cellular levels. To this end, dysfunction of the mitochondrial respiratory chain has been demonstrated in BC cells . Further, linked to the oxidative stress mechanisms, a systemic mitochondrial dysfunction and DNA damage/misguided repair have been proposed as implemented in the BC pathology . For fever or fever-like conditions, excessive chill attacks are characteristic, despite normal or even increased body temperature of the affected person. The fever condition as the response against infections demonstrates altered profiles of pro-inflammatory cytokines (IL-1, IL-6, TNF-α) regulating the immune reactions . On the other side, the same pyrogenic cytokines are frequently overexpressed by cancer patients  and may affect the thermoregulation function of the hypothalamus by activating the cyclooxygenase 2 (COX-2) and increasing the production of prostaglandins . Since BC-related defects in thermoregulation might be an important diagnostic and prognostic indicator, significant efforts should be dedicated to this phenomenon investigating the underlying pathomechanisms and selecting BC-specific regulatory pathways and molecular targets for diagnostic and treatment purposes. Local and systemic hypoxic effects. Further, as we have published recently, individually abnormal BMI (both underweight and overweight) are linked to BC risks . While BC risk by obesity is relatively well described in the literature, abnormally low BMI is less investigated in relation to BC. To this end, very recent studies demonstrated a particular attraction of this area, since underweight women seem to be at higher risk specifically for BC with poor outcomes . Onset of FS symptoms is observed early in life (puberty). FS is more typical for young women. Systemic molecular events characteristic for FS are evidently involved into effective BC cancer advancement [29, 43, 44, 45]. Local and systemic hypoxic effects caused by vascular dysregulation may strongly predispose FS-individuals to the formation of ‘pre-metastatic niches’ described as the ‘fertile’ microenvironment for particularly aggressive BC subtypes characterised by quickly progressing metastatic disease . The issue-dedicated multi-centred study is currently under an extensive performance by our consortium investigating the prevalence of FS in individual subtypes of BC and metastatic disease . Patients have not been involved in the study. No experiments have been performed including patients and/or animals. Dembéle A, Bambara M, Macuomi E, Ullmann D. Breast cancer revealed by a paraneoplastic cerebellar syndrome: about one case and literature review. Pan Afr Med J. 2015;22–25, doi: 10.11604/pamj.2015.22.25.6217.